Rent a double lane inflatable slide for any theme party! 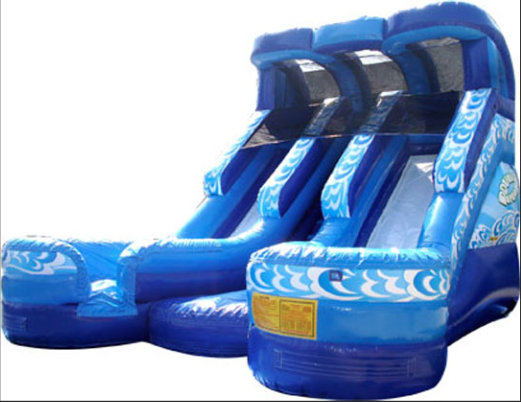 The double splash dual lane slide is 19' tall and towers over other slides! There are two separate lanes so the kids do not collide in the sliding lane. The double splash slide can be used both wet and dry, so you can rent it for your school carnival or company picnic too!